It will be named the Tenzen Institution and will accommodate over 3000 students from elementary to secondary levels. Education Minister Nick Kuman said during his visit to the facility this week that he was impressed with the work so far. The 70-Million-Kina building is funded by Shenzen city in China under an aid agreement project between the city and the National Capital District. 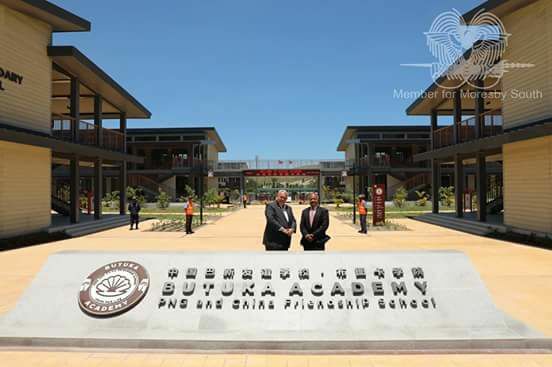 The new facility comprises of 10 elementary, 26 primary and 16 secondary classrooms with a multi- function hall, sports facility and 12 teachers apartments. It will be opened on the 17th of November.